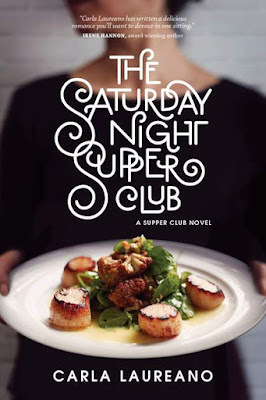 Carla Laureano, author of The Saturday Night Supper Club (Tyndale), will be hosting a Facebook Live book club with readers on Thursday, April 19, 2018 at 8:00 PM EDT/5:00 PM PDT. 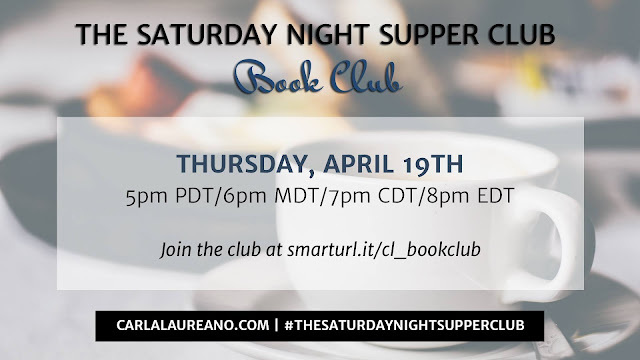 During the live conversation, Laureano will be sharing the inspiration behind the new release and lead the discussion about the book. Readers will also be able to submit their questions for the author to answer. Copies of The Saturday Night Supper Club and other prizes will be given away throughout the night. Learn more about the author at www.carlalaureano.com, on Facebook (Carla Laureano, Author), Twitter (@CarlaLaureano) or Instagram (CarlaLaureanoAuthor).